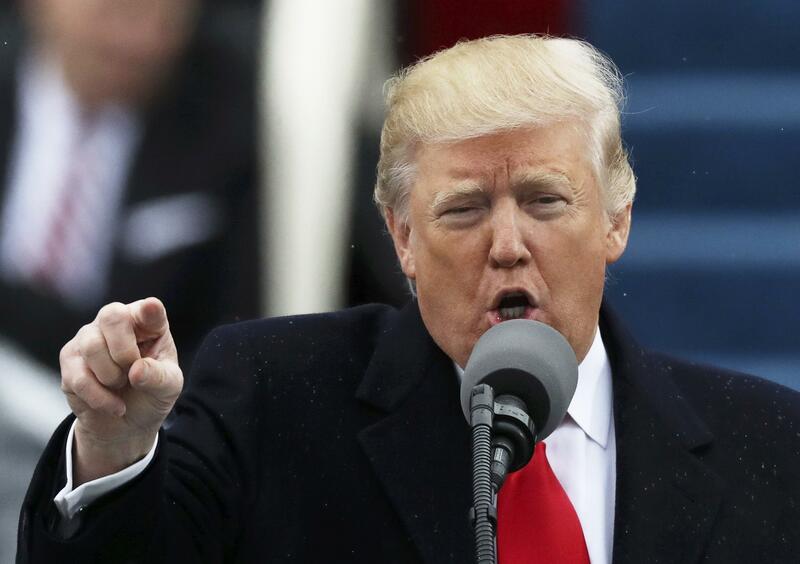 After taking the oath of office, President Donald J. Trump promised to take the power from the Washington elite and return it to the people, and he stressed that his priority will be to put the U.S. ahead of other nations. Speaking from the the West Front of the Capitol, Mr. Trump said in his inaugural address that Americans were not merely transferring power from one administration to another and one party to another. “We are transferring power from Washington, D.C. and giving it back to you, the people,” the newly sworn-in president said with thousands watching in person on the National Mall and potentially millions watching on television. “The forgotten men and women of our country will be forgotten no longer,” he said. Among those seated behind him were President Obama, first lady Michelle Obama, Vice President Joe Biden and his wife Jill Biden as well as former Presidents Jimmy Carter, Bill Clinton and George W. Bush. Hillary Clinton, the 2016 Democratic presidential nominee, also attended the inauguration and was seated on the platform. President George H.W. Bush was unable to attend because he’s being treated for pneumonia at a hospital in Houston. Mr. Trump highlighted issues that he said need to be solved such as violence in the nation’s “inner cities,” an education system that’s flush with cash, and crime, gangs and drugs that have taken too many lives. “The American carnage stops right here, and stops right now,” he said. Mr. Obama and the rest of his family will depart Washington, D.C. Friday for a vacation in Palm Springs, California.